Lynch claimed they spoke about Clinton’s grandchildren and “issues of the day,” such as Brexit. Once news of their meeting went public, Lynch said she regretted meeting Bill on the tarmac. Lynch distanced herself from the email investigation after the meeting, saying she would go along with the Justice Department investigators’ recommendations on the case. Days after the meeting, former FBI Director James Comey announced that Hillary Clinton would not be charged with a crime for her mishandling of classified information. Lynch’s interview with NBC News comes a week before James Comey, the former FBI director, who oversaw the Clinton email investigation, releases his autobiography. 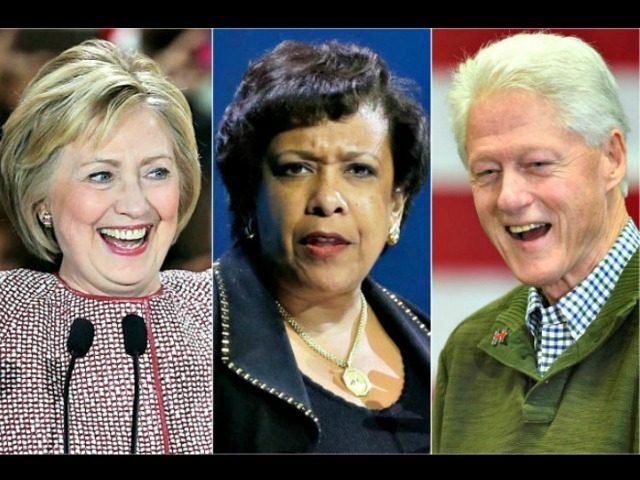 Tom Fitton, president of the conservative watchdog group Judicial Watch, told Fox News Saturday that there is no full explanation from either Bill Clinton or Lynch about what happened during that secret meeting. The organization has filed several Freedom of Information Act (FOIA) requests about the encounter but has had little success in getting “unredacted” information about the meeting.